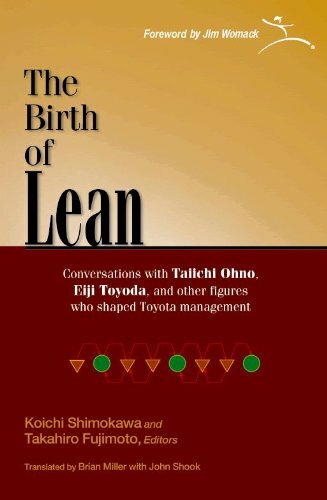 The Birth of Lean explain, there was no master plan—TPS came about through experimentation, trial and error, and an evolution of ideas that shaped Toyota’s structure and management system. This is an honest look at the origins of Lean, written in the words of the people who created the system. Through interviews and annotated talks, you will hear first-person accounts of what these innovators and problem-solvers did and why they did it. You’ll read rare, personal commentaries that explain the interplay of (sometimes opposing) ideas that created a revolution in thinking.